Department of Homeland Security Secretary Elaine Duke said in a statement that in the years since a catastrophic earthquake devastated Haiti “significant steps have been taken to improve the stability and quality of life for Haitian citizens, and Haiti can safely receive traditional levels of returned citizens.” However, Haitians with TPS disagree. Human Rights Watch reports that the country is struggling with political and social unrest and a cholera epidemic. Uncertainty looms for Haitian families living in South Florida. Many are business-owners or have careers and secure jobs, as well as American-born children enrolled in the school system. For these families, uprooting and going back to Haiti in less than 18 months is an impossible ordeal. 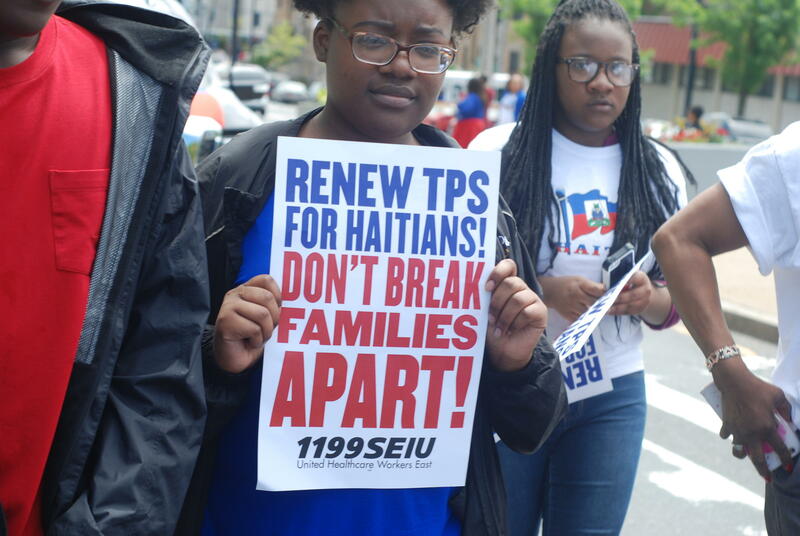 However, there may be some legal initiatives that can help accommodate some of the Haitians families living in the United States. Tune in to hear possible alternatives available for Haitian families affected by the termination of Temporary Protection Status. Also, a look into the life of Anna Christy, a distinguished soprano performing at the Broward Center for the Performing Arts Thursday night. The classic and timeless romantic opera Lucia di Lammermoor is being performed Thursday night at Broward Center For Performing Arts. Acclaimed soprano Anna Christy joined us in the studio to talk about her passion for opera, singing, acting and performing. She plays Lucia, the unlucky Scottish girl who is trapped into a forced marriage, a ploy the family uses as an attempt to recuperate their fortune. For audiences that are new to the opera, Lucia di Lammermoor may be the best introduction to this kind of entertainment. "You are going to be hooked. There’s no other way around it," said Christy, encouraging first-time opera-goers. You can hear all about Christy and her experience in the opera world on Wednesday’s program of Sundial.